Eikestadnuus editor Danie Keet brings you the latest news, happenings and events that have had chins wagging this week. Celebrations this weekend as Harvest Festival takes over the City of Oaks, Stephen Rautenbach makes stories come to life at his gallery in Church Street and The Stellenbosch Football Club (SFC) cemented its place at the top of the National First Division log by beating Ajax Cape Town in a thrilling match in Idas Valley. Byron Munton (Giant Alfa Bodyworks) and Cherise Willeit raced to victory in the 2019 Medihelp Stellenbosch Cycle Tour, at Val de Vie Estate, in the Cape Winelands on Sunday, 20 January. The elite men’s and women’s races unfolded in dramatically different fashion with Munton going on an 80 kilometre break to earn a hard fought win, while Willeit showed all her experience sprinting from a fiercely competitive group. Held in near perfect conditions, the Stellenbosch Cycle Tour started and finished at Val de Vie Estate for the first time this year. 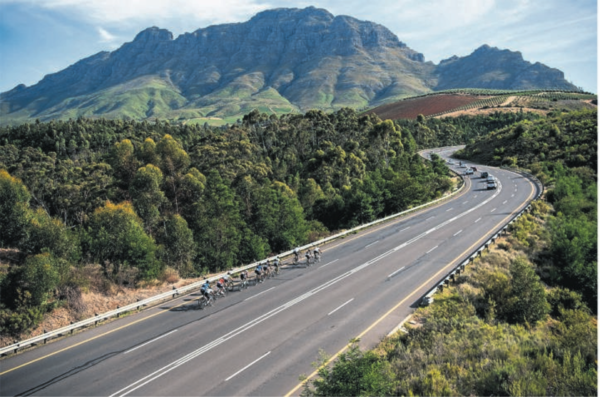 Following the same route, which looped through Paarl, Stellenbosch and the villages of Kylemore and Pniël, the change of start/finish location meant that Helshoogte Pass came 65 kilometres into the race. It’s time to whip on your glad rags and join the parade! 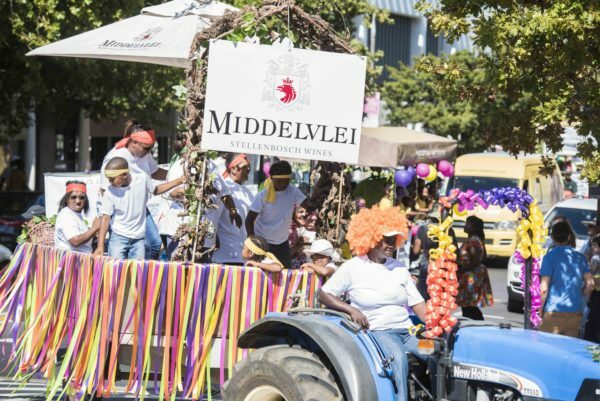 Once again, a merry, family-friendly spectacle hits the streets of Stellenbosch on Saturday 2 February, when rural locals of this wine region take to the streets accompanied by musicians and a festive entourage for the celebration and blessing of the year’s grape harvest. “Stellenbosch is the heartland of South African wine, which gives special significance to the harvest parade. 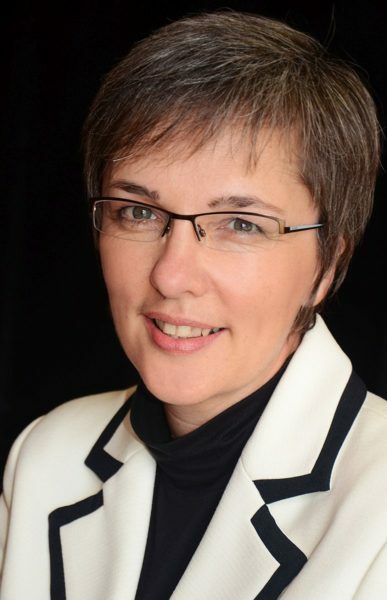 It’s about celebrating the bounty that harvest brings, but also the spirit of goodwill that prevails despite the season’s physical demands,” says Stellenbosch Wine Routes manager Elmarie Rabe. The parade sets off from the Van der Stel sports grounds at 09:00 and leads down Alexander Street to the town hall where the harvest blessing will take place. From there, it returns along Merriman Avenue to conclude in the agri-worker crafts and family day. 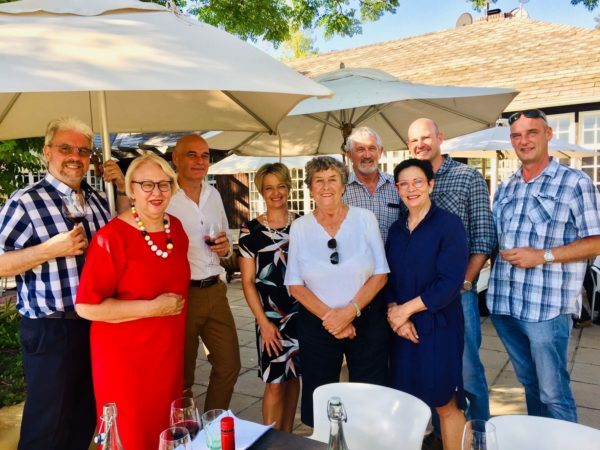 Stellenbosch Publicity and Marketing (SPM) held its AGM at Devon Valley Hotel last week and reported positive growth in income derived from tourism levies, despite challenges facing the hospitality industry over the past financial year. SPM was established in 2010 to create funding for marketing Stellenbosch as a premier business and leisure tourism destination. The good news is that the 1% levy which member companies, mainly accommodation establishments, add to their bills, increased by 28%, representing approximately R127 000. From modest beginnings in 2010/2011 when only R116 132 was obtained from members levies, last year’s amount increased to R807 497. Craig Seaman, chairperson of SPM, emphasized that the main task and vital role of SPM is to build brand Stellenbosch and to optimally promote Stellenbosch tourism with Stellenbosch 360, the official tourism organisation of the town as the main beneficiary. Who does not love listening to bedtime stories? Especially folklore handed down from generation to generation. Stephen Rautenbach’s mother was a librarian and an English teacher, and so the story begins… of his fascination with creating images: bringing stories to life in 3D, which one can touch and hold. His gallery is situated in Church Street, and the first thing you will notice on the stoep is his depiction of the north-westerly wind, the mother who’s caring wind brings rain and thus productivity. Inside the gallery, you will find all kinds of creatures from cats to mice and an owl guarding the inside. The owl protects his property carried over from the superstition some cultures still have around owls. Stephen actually had an interesting childhood growing up with the challenge of reading with his dyslexia, but once he mastered reading there was no stop to his love for stories and making them come to life. When you sit at his desk you will find little gems created by him, such as The Crowing Rooster, the almost extinct hare from Alice in Wonderland and a character from his favourite Italian nursery rhyme “The Elephant dancing on a spiderweb”. He learnt this rhyme for his daughter, now three, because his wife is Italian and they spend half their time in Pietro Santa, Sicily, and half their time in Stellenbosch. In the latter part of 2018 the world reached a significant milestone. For the first time in recent history, the poverty profile had somewhat widened. Up to now, people living in poverty outnumbered those in the middle and higher-income brackets. This trend is expected to continue, with increasing numbers of people projected to reach middle income in the near future. Estimates of 4 billion by 2020 and 5,3 billion by 2030 are frequently cited. Middle income is a special space in terms of consumer behaviour; it is the point where a person has discretionary income (a bit of extra money to buy stuff). Products that are high on the list of stuff to buy are cars, furniture, household appliances, more clothes, holidays, processed food and technological devices. This is exciting news for the providers of these products, but not for the earth. These new buyers will put significant extra strain on the resources of our planet. At our current levels of consumption, we are already using up more resources than what the earth can replace. Earth Overshoot Day is a calculation by scientists to indicate the day in a particular year when we have used up the resources that the earth can replace in one year. 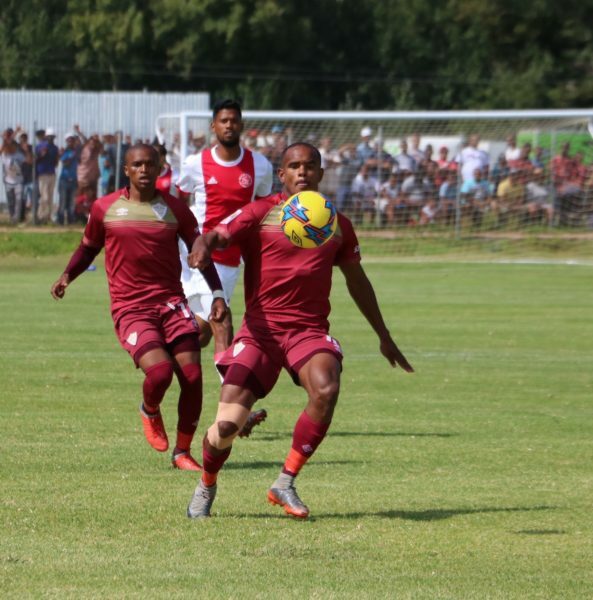 The Stellenbosch Football Club (SFC) cemented its place at the top of the National First Division log by beating inform Ajax Cape Town in Idas Valley on Sunday. It was a massive day for SFC. In front of a completely sold-out stadium, Stellies beat the Urban Warriors 2-1, bringing to an end the latter’s winning streak of five matches. Striker Iqraam Rayners scored both goals for SFC and, with 13 goals, he is now the clear leader of the top goal-scorers in the NFD. SFC captain Jarrod Moroole has six goals to his name. SFC took the lead early on, but at half-time, the game was tied at 1-1. Another brilliant goal from Rayners in the second half gave Stellies the victory. There was massive hype before the match. SFC were the log leaders and Ajax Cape Town was in red-hot form surging to second place in the log after struggling in the bottom half earlier in the season. Neither the teams nor the supporters were disappointed. They played excellent soccer and fans were on the edge of their seats or standing in anticipation.